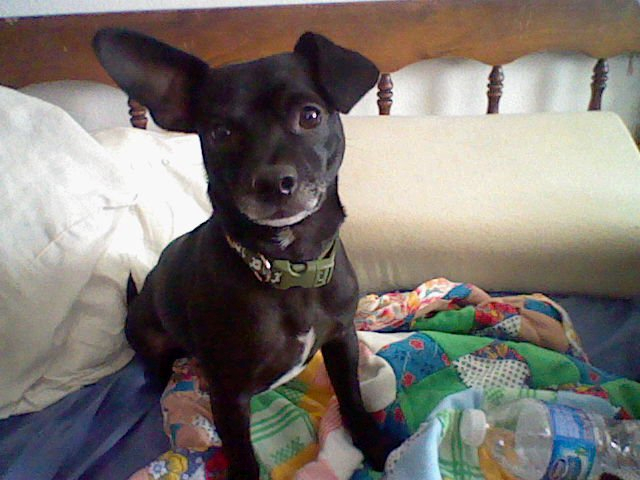 I still haven’t been able to get the sewing area completely set up. (I keep hitting road blocks) so in the mean time. I decided to do a little hand sewing. 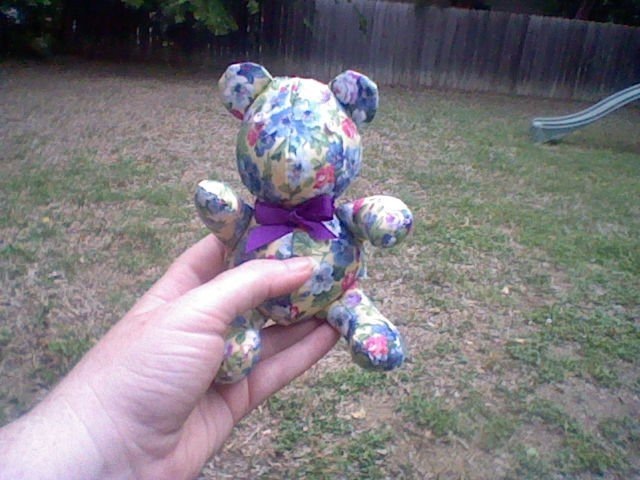 I like small projects when I do hand sewing and I found this great little Teddy Bear pattern at the library. Yep the library. 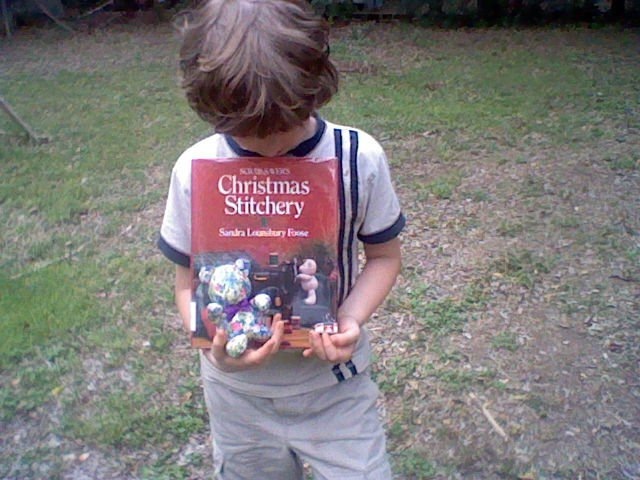 It was in a book called “Scrap Saver’s Christmas Stitchery” by Sandra Lounsbury Foose. 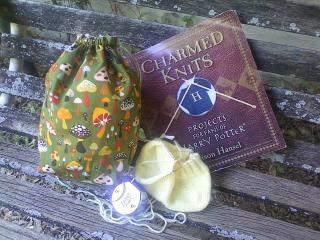 I’m in the mood to sew, so I’m going to try my hand at pyramid pouches. I don’t know why. I don’t really have a NEED for them. They just look interesting to me and I wanted to make some. LOL! I’m that way sometimes. I’m working on the second practice sock and this time while I was doing the short row heel, I didn’t even bother with using a stitch holder. After knitting the first heel, I don’t really understand why people use them for the short row heels. 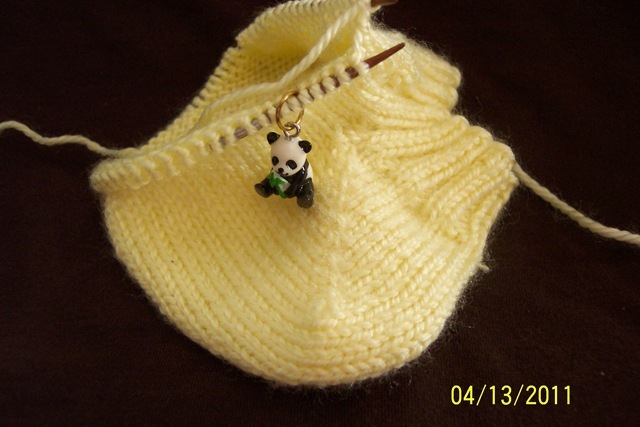 I’m sure they have there reasons, but the stitch markers to mark the half way points were more than adequate for me and it turned out even better than it did on the first sock and was much easier! Here’s what I’ve done so far on the 9″ circ sock. I’ve only ever done short row heel and toes on sock looms, so this has been really different for me. I’m not used to reading it in my knitting. I was having trouble telling when I was supposed to wrap a stitch. I also noticed I have a hole right at the gusset. I don’t normally have that problem when I do this on my sock loom. Humm…. I thought I had followed the directions right. I’ll keep trying. Hopefully I’ll get it figured out by the next sock. I think I’m going to give this a try. I’ve never done socks toe up before. via Generic Toe-up Sock Pattern.